I have always had trouble with tangly hair, especially after taking a shower, but about 2-3 years ago when I bought my first ever Wet Brush, my hair life changed. Now brushing my hair is no fuzz and no pain. I had to tell you guys about this brush, because it has seriously made my hair so much healthier. This is seriously the most amazing brush you are ever going to try! 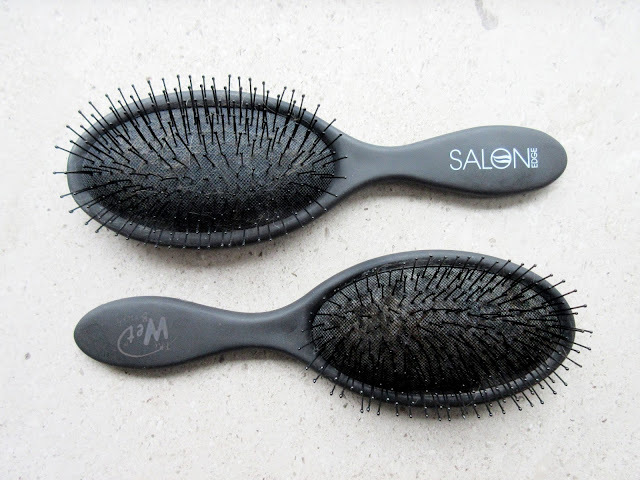 It brushes out tangles so easily because of the soft, bendable bristles, that won't rip your hair. I have recommended this to both my mom and some of my friends, and they are all amazed with how well this works. I don't think I'm ever going to buy a normal brush ever again. I have found some dupes for The Wet Brush online, I bought mine on eBay here and here and they work exactly like the real deal. For any of you Danes who would like to try the real deal, you can find it in Normal for only about 89.95 DKK and this brush is going to last you for years, mine is as I said about 2-3 years old and it's still going strong. For everyone in the States, I know Sally Beauty Supply sell a dupe to this brush too here.